MVSU Upward Bound Scholars Bowl Team secured a win against Alcorn State University’s Upward Bound program to claim the state TRIO program’s title. 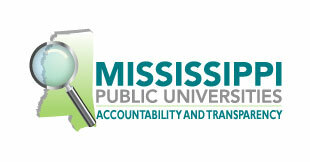 The Student Initiatives competition was held on the campus of Mississippi Valley State University. Valley’s Upward Bound has advanced to the regional round of competition which will be held on April 8, 2017 on the campus of Atlanta Metropolitan State College in Atlanta, Ga.
“The team has the prestigious honor of representing the state of Mississippi for three of the past four years as state champions,” said Derrick Jones, executive director of the Upward Bound program and current MAEOPP president. Team members are Anfrenee Brister, captain; Pheniquiana Broadnax and Charleen Carter, all from Leflore County High School; Tikayla Crain, Greenwood High School; Kayla Redmond, Holmes County Central High School; and Kyla Cole, Amanda Elzy High School. Lamar Swint served as the Scholars Bowl coach in addition to his assistant director duties for the Upward Bound Program. Mississippi Association of Educational Opportunity Program Personnel (MAEOPP) members are involved in equal educational opportunity for disadvantaged individuals, while advancing the ideals of student access, persistence and completion of postsecondary education. MAEOPP is dedicated to supporting TRIO Personnel through professional development, education, and activism for TRIO.